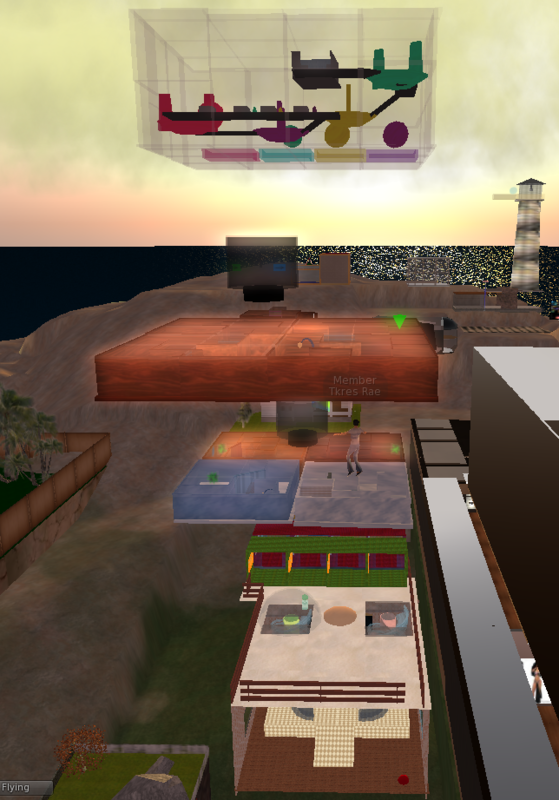 As part of the core subject DECO2010, we were tasked to build a Collaborative Virtual Environment in Second Life. 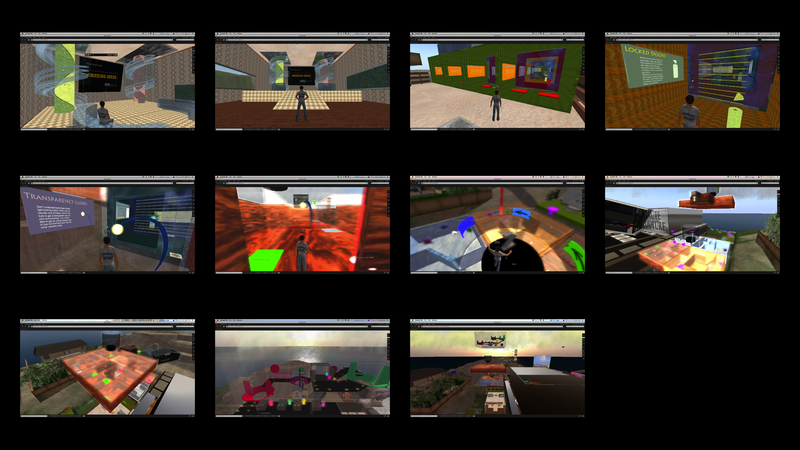 We achieved this by proposing and building an interactive maze game that was dependent on multiplayer collaboration. The term collaboration centres around the concept of team communication and the motivation to achieve a common goal. Thus, it would be reasonable to build a virtual collaborative environment that focuses on the idea of creating teamwork. Therefore our team, iDECO (consisting of Kathy Qiu, Hanley Weng, Roxanne Phan, Arthur Jing, and Nadine Denten) have decided to build a virtual team building activity - The Amazing Maze. This activity aims to generate teamwork between players through various ways of collaboration in order to finish the maze. The Maze was designed to be multiplayer, consisting of a tutorial room, interactive physical keys and floorpads, lamps that revealed hidden passageways, and an observatory that allowed other plays to guide fellow team-mates lost within the maze.